Las Casas Filipinas de Acuzar, an upscale heritage collection and resort destination in Bagac, Bataan, has been a popular landmark in the area. However, not many can afford an overnight stay in it. Fortunately, there are many beach resorts around the area where you can experience the same tranquil beach and relaxing nature at a more affordable price. #1 - Juness Beach Resort: The resort offers luxurious and elegantly appointed guest rooms, decorated with custom furnishings and beautifully designed fabrics that complement the open, airy feeling of the coast. Their various function areas can accommodate up to 200 guests. The resort’s dedicated staff will make your stay an experience of warm Filipino hospitality that you will fondly remember! #2 - Brisa Marina Beachfront Resort: This resort is perfectly situated on the tranquil and picturesque province of Morong, Bataan. Our luxury resort offers elegant amenities and a beautiful beachfront access. With couple’s spa packages, beachfront dining and exciting water activities to enjoy together – it is the ultimate travel destination. #3 - Westwind Beach Resort: Ideally located in the prime area of Bataan, Westwind Beach Resort promises a relaxing and wonderful visit. Westwind offers a hands-on service to suit the individual needs of all their guests. Guests can enjoy here one of the best and “Instagram Worthy” sunsets, adrenaline pumping and nature engaging activities that will make you want to come back for more. #4 - The Waterfront Beach Resort: Escape to one of the most spectacular getaways in the country. 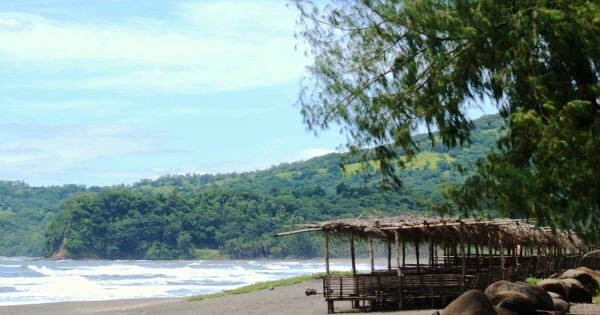 An enchanting place set on the picturesque town of Morong, Bataan Peninsula. You will find everything you need to help you recharge and get in touch with nature again and again. This resort is a fascinating gem of the province’s western horizon. Luxuriate in a long stretch of natural, powdery fine beach sand where children and adults alike will surely enjoy, acquire a healthy tan, or simply unwind from sun up to sundown. #5 - Phi-Phi Beach Hotel & Island Resort: This resort is a distinct addition to Bataan, and a smart choice for travelers. From here, guests can enjoy easy access to all that the lively city has to offer. With its convenient location, the hotel offers easy access to the city's must-see destinations. There is free Wi-Fi in all rooms, 24-hour security, daily housekeeping, gift/souvenir shop, 24-hour front desk are just a few of the facilities that set Phi-Phi Beach Hotel & Island Resort apart from other hotels in the city.